Does that sound familiar? You may have heard that said by someone or maybe you have said it yourself. When others say or do something to hurt someone, either physically, verbally, mentally, or sexually, that person is inclined to engrave the offense in the back of their minds, even after announcing forgiveness. How does God feel about such a situation and what may the consequences be if we do forgive but never forget? Or, would there be any consequences? After all, isn’t God a loving God? Doesn’t God know our hearts and understands how we feel about everything? I have heard that said by a Christian lady of a former boyfriend. Now, she could quote many more verses of scripture than me and also give their chapter and verse. I’ll have to admit, I was just a little envious of her because I couldn’t remember many scriptures at all. But when I heard her say she would forgive but never forget, it made me realize that a person can quote scripture but if they don’t believe and have the meaning of it in their heart, it’s worthless to them. I’ll explain in a little bit but first, another example. There was once a sweet, elderly lady in church that I enjoyed visiting with. She had a good sense of humor and we both had similar church denominational backgrounds and had left them so we could relate to each other’s past experiences. One time we were talking about unforgiveness. 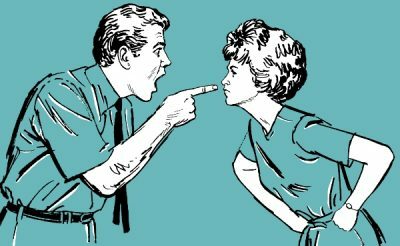 I don’t remember how we started talking about it but when the subject came up her countenance changed, her tone of voice changed, and then she talked about a husband she had divorced and how she would never forgive him for what he had done. I tried my best to reason with her. I told her that in Matthew 18:14 Jesus said if we don’t forgive others God won’t forgive us. Her reply? “God knows my heart and will understand”. She believed that God would make an exception to her because He knew the terrible hurt she had experienced by her former husband. This dear lady is gone now and many times when I think of her I wonder what happened to her when she passed on and faced our Lord. Would He say, “Don’t worry, I know much you were hurt so I’m going to make an exception”? I’m not even going to speculate on her circumstance at that point. But if God makes exceptions, it means there are “grey areas” in scripture and everything in the Bible can be loosely translated to fit our circumstances. Picture Jesus on the cross. Were His last few words, “I’ll forgive, but I’ll NEVER forget!” and then He breathed His last breath? Where would that put us? Not one of us would enter Heaven because we have all sinned and if Jesus said He forgave us, but would NEVER forget our sins, are we truly forgiven? Can you imagine being in Heaven someday and suddenly Jesus coming up to you and saying, “I remember you! You were a thief!” Then turning to the angels and telling them to keep an eye on us or we’ll start tearing up the streets for the gold. Of course, I’m trying to be funny but there is no comedy in unforgiveness. No, God will not make exceptions to us. Acts 10:34 is very clear on that, “Then Peter opened his mouth, and said, Of a truth, I perceive that God is no respecter of persons”. It is obvious by these scriptures that God did a complete work through His Son when Jesus died on Calvary. He forgave AND forgot our sins if we believe in Him with true faith. He makes no exceptions. He expects us to forgive and forget offenses by others if we want to enter Heaven. If you have unforgiveness towards anyone, don’t put it off forgiving them any longer. You don’t know at what hour you may be called to stand before our Lord as He brings up every sin that you have not confessed and asked forgiveness. It will then be too late. Forgive that person or persons now so you can have a clear conscience and will rejoice when you come Face to face with Jesus Christ, your Lord, and Savior, the Son of God who came to earth to die and make a place for you in Heaven. There is nothing so terrible that anyone can do to you on earth that is worth risking your place in Heaven. Forgive AND forget offenses of others, just as God did for you.